As well as inviting external speakers to our seminar series, we also use the seminar series as a platform to promote the research in our Faculty. 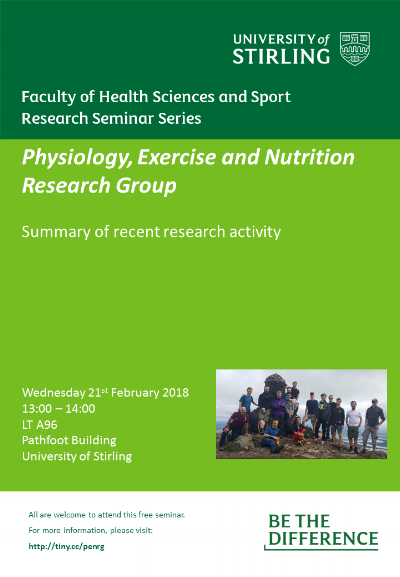 In February we welcome the Physiology, Exercise and Nutrition Research Group to the podium to present a summary of their recent research activity. 1) Developing a greater understanding of muscle physiology and function in health and disease throughout the life course. 2) Developing a greater understanding of the impact of nutrition and exercise on health and sport performance.